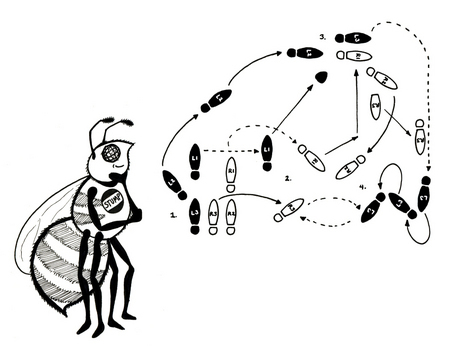 Earlier today, I heard a wonderful NPR story by Robert Krulwich that provides a more extended and experimental discussion of bee swarming behavior that I blogged on a few weeks ago. His story is called “Nature’s Secret: Why Honey Bees are Better Politicians than Humans.” It’s only 7 minutes in length and really provides interesting insight on this beehavior. Previous Previous post: Summer Workshop opportunity…..